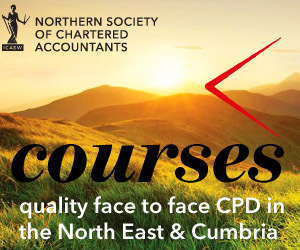 On behalf of the Northern Society of Chartered Accountants, we invite you to spend some quality time with an array of renowned lecturers at the annual Tyne and Wear general practitioner residential conference. Our lecturers are ready to amaze you with the latest developments in the worlds of accounting, taxation and, yes, even auditing. More than just a series of lectures, Redworth is almost a way of life. With time to relax and talk one on one to our dedicated team of lecturers over drinks or dinner, Redworth is the place to be. Thanks to our 2014 Sponsors who help us keep your costs down. We have been advised that we must apply the Tour Operators Margin Scheme (TOMS) if we organise a conference that includes accommodation. The effect of TOMS is that organisers cannot claim the input VAT on the accommodation and other costs associated with the conference, nor can they issue a VAT invoice to delegates. One doesn’t have to be at Rebecca’s VAT session to realise this results in an increase in net cost to delegates of 20% of the accommodation charges. Therefore, for 2014 and future years we have to change the way in which you pay for the conference. When you book you will only be charged for the conference element, the accommodation charges will now be paid at the end of the conference directly to the hotel. On arrival a credit card pre-authorisation will be required. We will continue to book the rooms for delegates (and spouses, if required) at our preferential rate. Carl began training as a Chartered Accountant in 1983 with one of the ‘Big 4’ accountancy firms. He qualified in 1986, becoming a double prize-winner in the process, and began specialising in tax. Carl is a popular speaker on taxation matters and frequently presents to groups of business owners, landlords, and professionals such as accountants, lawyers and surveyors. His highly acclaimed annual ‘Budget Breakfast’ for the Institute of Chartered Accountants has been running since 2002 and has outlasted two former Chancellors of the Exchequer. Carl is a member of the governing Council of the Institute of Chartered Accountants in England and Wales, Deputy Chairman of the Tax Faculty and a former President of ICAEW Scotland. David Hewitt began working at Citation Ltd in 1999, where he is currently Head of Employment Law Information. He has been employed in personnel and employment law consultancies since 1990, specialising in employment law, the development of bespoke personnel documentation and representing clients as an Advocate at employment tribunals. He previously spent over 20 years in personnel management, primarily within the food industry. His last appointment was Group Personnel Manager with a well-known food-manufacturing group where his specialist areas included industrial relations, remuneration policies and manpower planning. David has also had over 500 articles published on employment law matters. He is a qualified teacher and has been a school governor and an Ofsted Lay-inspector. Fiona Duckworth who has over 20 years’ experience working as a senior level marketer for a number of global businesses. Fiona offers a range of marketing services that support the growth of ambitious north east companies. I became MP for Hartlepool in the by-election of September 2004. I followed Peter Mandelson as the town’s MP when he left Parliament to become a European Commissioner. I previously served on Hartlepool Borough Council from 2002, where I had responsibility for performance management as part of its Cabinet. Since entering Parliament I have been a member of the Public Accounts and Modernisation Standing Committees (2007), and Parliamentary Private Secretary to a health minister (2005-06). I was appointed Parliamentary Under Secretary of State in the department of Communities and Local Government in June 2007. In 2009 I moved to the Department of Children, Schools and Families as Parliamentary under Secretary of State for 14-19 Reform and Apprenticeships. My particular political interests are the Economy, Health and Education. I have been married to my wife Tiffiny since 1995 and we have four children – Ben, Jacob, Hattie and Billy. I was born and have lived all my life in Hartlepool and attended Fens and Manor schools. After studying History at University College, London, I became a chartered accountant. My last job before entering Parliament was as an accountant for One Northeast – the regional development agency. In the spare time I have I enjoy spending time with my wife and children and listening to music – especially groups like New Order, the Smiths and the Stone Roses. I am also a season ticket holder for Hartlepool United and go every week with my brother. Laurus Associates Ltd., was established in 2002 by Karen Barwick and Colin Dawson, and continues to build on the long term relationships already formed between numerous legal and accountancy firms. Karen Barwick is drawing on her past experiences of pensions gained from both a leading life office and a large national corporate IFA. This has resulted in advice as a specialist nature, predominantly to the business community, and also to private clients. Neil Butler has worked for Companies House for over 25 years after previously working in the private sector. He has worked in many sections around the organisation and has developed a wealth of knowledge of the varied areas of company registration. He is currently the Business Liaison Manager and his role primarily is that of communicating and working with the accountancy and legal professions, business organisations entrepreneurial and educational groups to inform and guide on the many aspects of company start-up, officers responsibilities, compliance and products and services. He travels widely around the UK giving presentations and attending conferences as a guest speaker. As a coach Pete has been motivating and inspiring professional people and their teams to perform at their best for over 18 years. As an experienced senior manager or a large organisation (with a £34 million target) and an MD of a smaller organisation (not as big a target) Pete understands what it feels like to work at 65% when you know you’re capable of 95%. As a result of Pete’s coaching programmes you and your team will develop an IronMan Attitude so that everyone will be focused, be consistent and be amazing. You will achieve dramatically improved business results, plus have more engagement and fulfilment Pete has a large client base that will happily share their experiences if required. Since training in the 1980s with a ‘big eight’ firm in Newcastle I worked as a partner in a medium size practice prior to launching Tindle’s in 2000, a start-up firm in Teesside. After 13 years of hard work with Angela Foster, my business partner of over six years, we have grown the firm to a current total of 16 employees, including five qualified Chartered Accountants. The firm enjoys close relationships with its clients and has a pioneering ethos to train, nurture and retain Chartered Accountants. I also possess the unique experience of not only advising business clients but actually developing and operating my own enterprise; the Ramada Encore, a hotel situated on the Quayside in Gateshead that opened in 2012. An interesting experience at the sharp end of dealing with banks… and auditors! Stephen is an experienced finance professional with some 30 years’ experience in a range of positions in Newcastle and Scotland. After 13 years with KPMG, he became a Regional Partner with Haines Watts. He was a former CEO and Finance Director of an AIM listed professional services company, of which he was a founding partner. Stephen was appointed as Chief Operating Officer of North East Access to Finance in July 2011.